One question that's frequently raised about market anarchism: How to prevent the economy from being taken over by monopolies, without anti-trust regulations and other restrictions on corporate abuses of power? Without anti-trust laws, the argument goes, the firms in an oligopoly or cartel could simply lower prices when a competitor tried to enter the market, and then raise them again when the competitor went out of business. Oligopoly firms could also, it's argued, use their market power to restrict competition in other ways, like making exclusivity contracts to prevent a would-be entrant to the same industry from obtaining the suppliers and outlets it needed to function. The problem with this argument is that it assumes a great deal of what it needs to prove. Sure, prices are a lot stickier when you've got a stable oligopoly market. The Nader Group once estimated oligopoly markup at about 25% of total price in industries where half of output was controlled by four or fewer corporations. But how do you get an oligopoly market like that in the first place? Strategic underpicing is a lot more effective if the market is already divided up between a small number of big players―and this state of affairs seldom arises naturally. The corporate revolution of the late 19th century presupposed several forms of massive state intervention: Railroad land grants, which made possible integration of the entire U.S. into a single market, and cartelization of industries through patent exchange and pooling. But even after the economy became dominated by giant corporations, argues Gabriel Kolko in The Triumph of Conservatism, attempts to establish cartels by purely private means were largely failures. The big trusts immediately began losing market share to smaller and lower-cost competitors. It was this inabiliity to maintain cartels by private means alone that sparked the Progressive Era's regulatory state, as corporations turned to government to suppress competition. "It was this inabiliity to maintain cartels by private means alone that sparked the Progressive Era's regulatory state, as corporations turned to government to suppress competition." The tendency of cartels to break down into ruinous price wars was the reason for the "unfair competition" provisions of the Clayton and FTC Acts. Charging prices under cost was classed as unfair competition. According to Kolko, it was this provision that first made possible stable oligopoly markets in which firms competed in terms of brand-name image and fluff rather than price. That's right: The "Progressive" regulatory state was really working for the folks it regulated. Ever hear the expression "Baptists and Bootleggers?" The biggest advocates for keeping a county dry, and the biggest source of campaign funds for temperance politicians, are the people who make money selling bootleg whiskey. The effectiveness of strategic price-cutting to shut out competition also depends on entry costs―the size of the capital outlays required to build the first widget. The lower the entry costs, the more likely the dominant firm will find itself playing whack-a-mole, constantly having to resume the price war as competitors try to enter the market. That means that regularly selling below cost becomes a normal cost of business, raising the level of overhead for a dominant player trying to keep others out. In an environment where capital outlays to enter are low and the competitors keep coming and coming, that's a good way to go bankrupt. Now consider, against this background, the fact that the capitalization costs required for market entry are not just a given. One major effect of government regulation is to raise capitalization levels, entry costs, and overhead in ways that protect incumbent producers and secure monopoly rents to them. It's a lot cheaper to shut out lower-cost competition if you've got a big buddy outlawing low-cost forms of production. Once again, the monopolists find a friend in the regulatory state. As for exclusivity contracts, their effectiveness depends on the entry costs of becoming a supplier. Exclusivity contracts would present an opportunity for new entrants to collect a premium for being the first to serve the unmet needs. And they also offer a premium for defection by incumbent suppliers: If you're one of five suppliers for an industry, and the other four already have exclusivity contracts with the dominant incumbent player, which do you think offers the most promise: To become the fifth with an exclusivity contract, or to cut a deal with the new entrant? All the envisioned monopoly strategies rely on the assumption that challengers would not adapt and develop workarounds ("the enemy usually has a plan, too―the dirty SOB!"). A primary effect of regulations is to criminalize those workarounds. 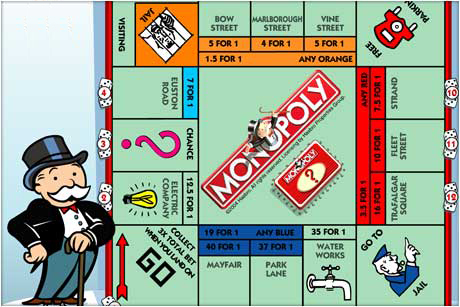 Monopoly is great, if you can just find a way to prevent competitors from entering the market and selling stuff cheaper than you. And when you penetrate behind the "progressive" aura of the regulatory state, you generally find it doing just that.